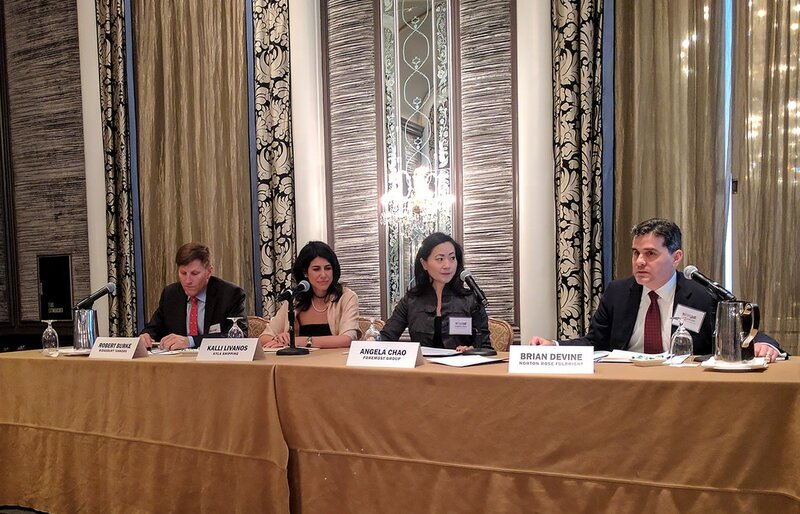 The Hellenic/Norwegian-American Chamber of Commerce (HACC/NACC) held their 23rd Annual Joint Shipping Conference in New York City on February 9, 2017. Themed “Shipping Survivors: Strategies for Success in a New Era,” the conference featured a number of speakers and panelists from across the shipping industry. The Conference was chaired by John Stratakis, who gave the opening speech, Clay Maitland and Ole Christian Shroder, who closed the event. The conference included seven break-out panels that each examined a different aspect of the industry in its current state. One of the most fascinating panels featured leading shipowners, among them Angela Chao, who discussed their professional experiences, challenges, strategies and perspectives on succeeding in this new era of international shipping. The NACC is headquartered in New York City, it maintains eight chapters in the US and is dedicated to serving the Norwegian-American business community.